1. Reproductive and Child Health Programme Phase I (RCH-I) during 1997 to 2005. 2. Reproductive and Child Health Programme Phase II (RCH-II) under National Rural Health Mission (NRHM) during 2005 to 2010. 3. Reproductive, Maternal, Neo-natal, Child Health + Adolescent Health (RMNCH+A) approach under National Health Mission from 2013 onwards. Under the above programmes, assistance for various schemes/interventions viz., Janani Suraksha Yojana (JSY), Janani Shishu Suraksha Karyakaram (JSSK), Universal Immunization Programme, creation of state-of- the- art 100 /50 /30 bedded Maternal and Child Health Wings (MCH wings) in the district hospitals , Special Newborn Care Units (SNCUs, Newborn Stabilisation Units (NBSU) Newborn Care Corners (NBCCs), Home Based Newborn Care (HBNC), establishment of Nutritional Rehabilitation Centres (NRC) etc., are provided by the Government of India. Further, recent launching of India Newborn Action Plan in response to the Global Every Newborn Action Plan (ENAP) takes forward the Global Strategy for Women’s and Children’s Health. Public health being a State subject, the primary responsibility to provide affordable health care for poor people is that of the concerned State Governments. However, the National Health Mission (NHM) which encompasses the National Rural Health Mission (NRHM) and the National Urban Health Mission (NUHM) as its two sub-missions has been launched to support the States to provide accessible, affordable, effective and quality health care services especially to the poor and vulnerable sections of the population. Under NHM support is provided to States/UTs, including Gujarat, for strengthening their health care systems based on requirements posed by the States/UTs in their Programme Implementation Plans (PIPs). Approvals against the PIPs received are provided to all States/UTs based on appraisal and resource availability. As per section 3(b) of the Drugs and Cosmetics Act, 1940, the notified devices are presently regulated as drugs. Presently, 14 categories of medical devices have been notified. The pricing of drugs including notified devices is regulated by the National Pharmaceutical Pricing Authority (NPPA) under the Department of Pharmaceuticals and that Department has informed that presently ceiling prices of two devices have been fixed under the provisions of the Drugs Price Control Order (DPCO), 2013. The remaining medical devices are categorized as non-scheduled formulations under the DPCO, 2013 and their price has not been fixed. However, the DPCO, 2013 also provides for monitoring the price of non-scheduled formulations by ensuring that the increase in Maximum Retail Price (MRP) of non-scheduled medical devices is not more than 10% of the MRP prevalent during preceding 12 months. The NPPA monitors/ regulates the prices of drugs and medical devices and also reviews the same in consultation with the manufacturers/ importers. Isolated reports of export of allegedly substandard drugs by Indian Pharmaceutical companies to other countries including African countries have been received. Drugs for export are manufactured under license granted by the State Licensing Authorities. The reports on quality of exported drugs, when received by the Central Drugs Standard Control Organization (CDSCO) are investigated jointly by CDSCO and the concerned State Drugs Controllers. Based on the findings of the investigations, the State Licensing Authorities take suitable action under the provisions of the Drugs and Cosmetics Act, 1940 and Rules made thereunder. All the Doctors and Residents of the All India Institute of Medical Sciences, New Delhi have been advised vide communications dated 14.03.2014, 08.09.2014 and 24.11.2014 to prescribe generic medicines as far as possible/ practicable and the same is being complied by them. Use of generic names of drugs: Every physician should, as far as possible, prescribe drugs with generic names and he/she shall ensure that there is a rational prescription and use of drugs. MCI has taken step to enhance generic medicine prescription by doctors by issuing circular to all the Deans of Medical Colleges, Directors of Postgraduate Institutes and Presidents of State Medical Councils in this regard. The bilateral MoUs/MoC aim to promote and develop cooperation in the field of health, healthcare and medicine on the basis of equality, reciprocity and mutual benefit. The MoU/MoC do not specify any financial arrangement or obligation on the part of either of the signing party, which is mutually decided on a case-to-case basis, subject to availability of funds and resources. 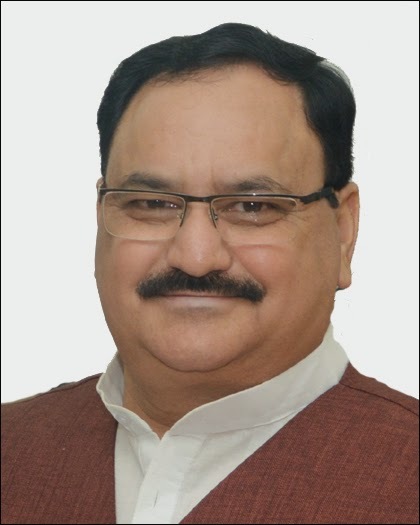 The education and practice in yoga and naturopathy systems have remained unregulated at Central level mainly due to low number of medical colleges and practitioners in these systems and also concentration, thereof in only a few States like, Andhra Pradesh, Tamil Nadu, and Karnataka. The Government has now undertaken discussion with the stakeholders on feasibility of regulation of Yoga & Naturopathy education and practice for maintaining quality and uniform educational standards and preventing the growth of fraudulent and fake institutions. The Ministry has invited comments/views of various stake holders including State/ UT Governments, Principals of BNYS degree Colleges/degree colleges (Yoga) and Vice Chancellors of Medical Universities in all States/ UTs etc. for formulating regulatory authority at the Central Level. Health being a State subject, it is primarily the responsibility of the State governments to provide health care including dialysis facilities for the patients. The central government through the hospitals under it, supplements the efforts of the state government. Nationwide scientific estimation of number of patients of chronic kidney diseases has not been carried out. However, in some of the small population based studies, it was found to be in 0.79% in North India and 0.16% in South India. The Indian Council of Medical Research (ICMR) has informed that roughly 5.5 lakh patients in the country will be requiring dialysis and/or kidney transplantation. State/UT-wise data is not available. Dialysis facility is available at the Central Government hospitals like All India Institute of Medical Sciences (AIIMS), Delhi, Dr. Ram Manohar Lohia Hospital,Delhi, Safdarjung Hospital,Delhi, Jawaharlal Institute of Post Graduate Medical Education and Research (JIPMER), Puducherry and Post Graduate Institute of Medical Education and Research (PGIMER), Chandigarh. Additionally, under PMSSY six new AIIMS have been set up which will also provide tertiary care to patients. Upgradation of identified medical colleges has also been undertaken which will also improve tertiary care. The National Programme for prevention and control of cancer, diabetes, cardio-vascular diseases and stroke (NPCDCS) will help in reducing chronic renal diseases and incidence of renal failure. The Revised National Tuberculosis Control Programme (RNTCP), being implemented across the country, provides free diagnostic and treatment services for tuberculosis, including pediatric tuberculosis. Under the programme, diagnosis of T.B. among children is currently based on clinical features, smear examination of sputum where this is available, positive family history, tuberculin skin testing, chest radiography and histopathological examination, as appropriate. In addition, cartridge based nucleic acid amplification test (CBNAAT) technology is also recommended for use in diagnosis of pediatric TB under the programme. Pediatric dosages of anti-tuberculosis drugs based on body weight are being used under RNTCP. Under-nutrition reduces immunity which makes a person vulnerable to diseases, including tuberculosis. The programme figures do not suggest that the incidence of pediatric TB is increasing. The RNTCP, in consultation with Indian Academy of Pediatrics, has recommended revised guidelines for diagnosis and treatment for childhood tuberculosis.